Earthtones Landscape Management offers residential landscaping in Phoenix, Scottsdale, Peoria, Cave Creek and all over the Valley. Our residential landscaping customers know that a phone call to Earthtones Landscape Management is all it takes to start transforming their yard into something they can be proud of. Take a look at the various landscaping services we offer our residential clients and click on the link you’d like to learn more about. If you don’t see what you’re looking for in the links below, please contact us today and we’d be happy to work with you on making your ideas come to life. Getting high quality residential landscape design and maintenance in Phoenix is critical to maintaining your yard and ensuring your home’s property value is as high as possible. You’d be surprised at what some relatively minor landscaping can do to increase your net worth! At Earthtones Landscape Management, we offer residential landscape design, installation and maintenance, along with hardscape and custom landscaping solutions. Let us beautify your property with our top-notch materials and workmanship – we’re sure you’ll be thrilled with the end result! Already have your residential landscaping created? No problem – let us help you maintain it! 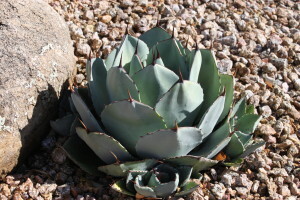 Arizona’s harsh desert climate really does a number on plants and your yard; without proper maintenance, your yard won’t be as comfortable or inviting as it once was, not to mention the potential loss of value. Earthtones Landscape Management offers a variety of weekly, bi-weekly or monthly residential landscaping maintenance services, including whole yard clean ups, tree trimming/tree thinning, and regular upkeep visits. With all that we offer, you’ll never have to worry about your residential landscaping needs in Phoenix ever again! Don’t wait another day to get the landscaping you’ve always wanted. Contact Earthtones Landscape Management now using the number at the top of your screen – we can’t wait to start revealing your property’s hidden beauty!